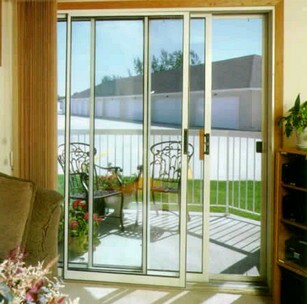 Sliding Glass Door Repair Orlando (407) 334-9230. I fix sliding glass doors 7 days a week in Orlando, Florida and surrounding areas. If your glass is broken, I can fix it. If your slider is falling apart and the wheels are falling off, I can fix it. If the track is worn down to nothingness and the doors fell off, I can fix it. If your interlocks don’t line up right and your AC is getting out, I can fix it. If your doors are in really bad shape but are not described in this list of problems, I can probably still fix it. Just give me a call and I will let you know if I can fix it or not. (407) 334- 9230. This man fixed my 40 year old heavy metal sliding door that needed lots of muscle to push open and closed 15 times a day. It took an more than an hour to fix all the problems with new wheels and fit to opening, but it works smoothly with a touch now and it is a lot cheaper than replacing the entire unit when the old one works just like new. Thanks so much! Also, fast service even though my job was not an emergency. Would recommend this professional man without any reservations. great job. See above comment! Great job repairing our wore out glass door. Great price, now opens & closes with one finger. Arrived on time went right to work, had our door fixed in about an hour. I will use his service again. Yes, I was skeptical when he said he’s been able to fix every door he’s ever worked on. We had been told we’d need to spend several thousand dollars to replace our three panel glass door. However, he delivered on his promise. He arrived on time and spent more than 2 hours working on the door until it met his standards (which were higher than my own!). Highly recommended. 45 minutes our door opens and closes like new, maybe better. Will recommend this service to anyone. Mr. Painter showed up on time and fixed my sliding door which required me to go to the gym just so that I could open and close the door LOL. It took a couple of hours to fix all the problems with new wheels but it works smoothly with a touch now. Having him come out saved me thousands of dollars if I were to replace the entire unit. Now it works just like new. I recommend his expertise and professionalism without any reservations. Real good service! I had 2 large sliding doors that needed fixing as well as the locks. He got it all done. Very happy with the work. Will recommend to anyone. The glass on my door was smashed in by vandals. The president answered the phone call, came to investigate the same day and repaired the door the next day. It was as if the door was never broken. Excellent service, attitude and result. Thank you. Those DIY videos that make replacing sliding glass door rollers look easy as pie? Not so much. I should have made the call long ago. We made an appointment, he came on time and now we have a sliding glass door that actually slides again. I’m not sure it rolled this good when it was new.